Here is the third update from my friend Lisa’s epic road trip across the USA this month. This was her fifth day of driving. I am happy to report that she is now well settled in her new place in Los Angeles. I drove about 6 hours west to Sidney, Nebraska. 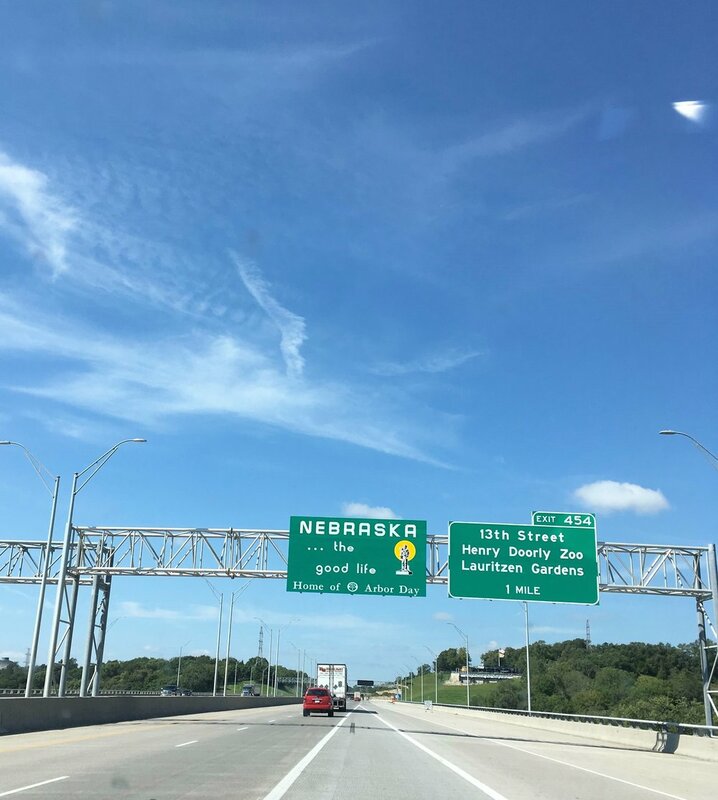 I noticed that the border between Iowa and Nebraska is also along a river - the Missouri. Omaha is on the other side of the river from Council Bluffs. Nebraska seems flatter than Iowa was (but not as flat as the Netherlands) with more land and fewer buildings and farms. I did see several cow farms along the way though. 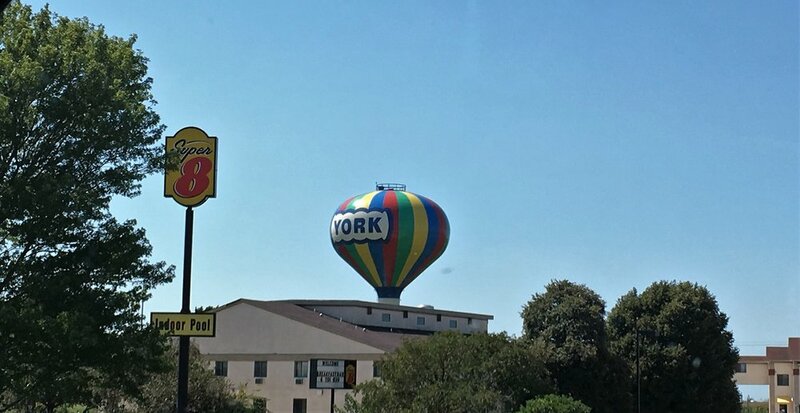 I went through a Starbucks drive through in a town called York, and the woman told me that the balloon was famous but she didn't know what for! Apparently they don't have a balloon festival or anything! 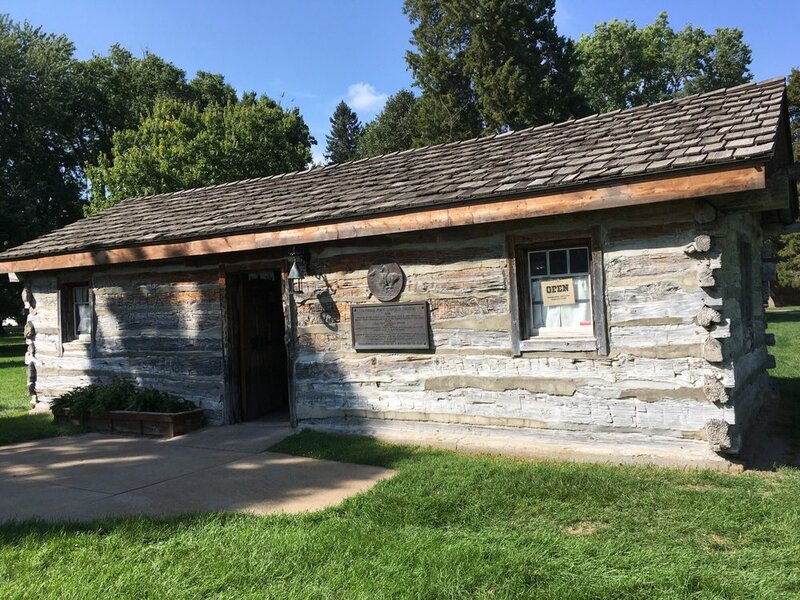 I noticed a sign for a Pony Express Station, so I got off the highway to check it out. There was a small exhibit with old furniture and things from the old days, and the other half was a gift shop. See the old deck of cards! The station was in a neighborhood park. The woman from the shop took me outside to show me a tree - the side of it was full of Monarch butterflies! Following the long, flat, drowsy road, I had to stop for some pie and a cup of coffee! I made it to the Homemade Heaven sandwich shop 40 minutes before they closed (good thing I had that extra hour!) and I had a yummy slice of pumpkin pie - legitimate road food! Older PostSeptember's Knitted Square is ready.